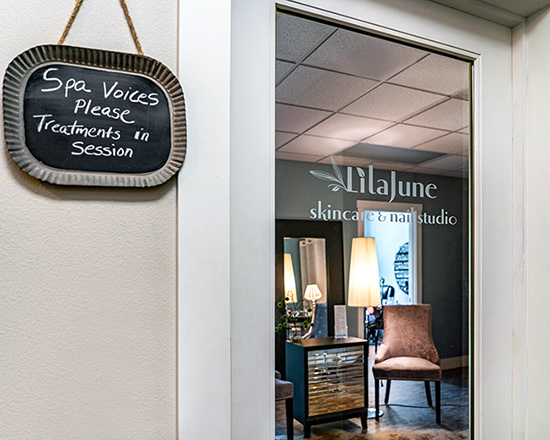 Welcome to LilaJune Skincare & Nail Studio, Bainbridge Island’s premiere source for natural, luxurious, and effective spa services, which includes a full range of medi spa services, the latest in injectables, micro-needling, chemical peels, and more. Founded by master aesthetician Jennie Townsan, LilaJune Skincare & Nail Studio offers facials, waxing, nails, massage, and lash treatments. After years working at and owning her own salons in both London, England and Port Townsend, Washington, Jennie moved her business to the Bainbridge Island community. Jennie has built her career on the philosophy of offering treatments with real results using clean, natural powerful products, including her own product line, LilaJune Skincare, combined with state of the art technology, to meet the needs of clients of all ages and with all skin types. Whether it’s a gentle touch during a wax treatment or a meditative facial, clients always come out feeling relaxed, rejuvenated, and glowing. Located on Madison Ave, just two blocks from the marina. Call today to book an appointment or book online at your convenience.